On January 30, a few lucky PorchDrinkers will be headed to Pacific City, Oregon for a Brewers Dinner put on by Pelican Pub & Brewery. 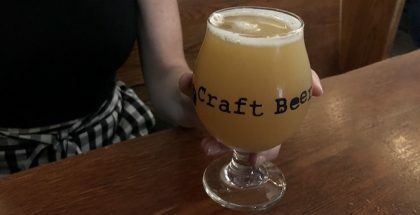 The event features a six course meal – everything from gnocchi with lamb ragu to corn and dumpling soup – each course being paired with a Pelican brew that is strategically paired to send tastebuds soaring into orbit. Though we’ve been dreaming about the event itself for the past few weeks, Pelican in and of itself has always been a source of constant euphoria when it comes to beer. The brewery is the winner of hundreds of national and international beer awards celebrating countless beers as well as the brewery as a whole. What started as a small brew pub on an Oregonian coastal town has become a gold standard for beer, food, culture and innovation. Needless to say, we jumped at the opportunity to catch up with brewmaster Darron Welch before making the drive to Pacific City. Here’s what he had to say. Let’s start at the beginning. How did you get into brewing? I started, like so many of my generation, as a homebrewer who went wildly out of control. And it’s worked out well, it seems? It’s worked out well so far. Where does your story start with Pelican? The story with Pelican starts, really, with when the brewery was in the planning phases. At the time I was working at a small brew pub in Wisconsin in Appleton. I came back to Oregon to attend a seminar – a small conference – put on by Brewing Techniques Magazine. This was in 1995. I saw an ad on a bulletin board for a startup brewpub in a beach I hadn’t heard of. I called the number and met the couple who was starting the brewery, landed the job, and a little over twenty years later I am still here. I’m a partner in the business with those same two people who hired me – Mary Jones and Jeff Schons. For those that aren’t familiar with Pelican, it’s a pretty special place. Describe it for someone who has never been to Pacific City and seen the set up. 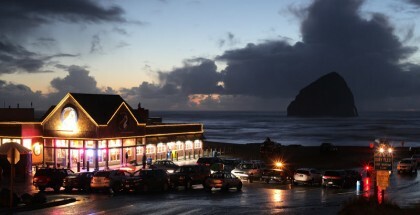 Well here in Pacific City is our original brewpub location. It’s in a building which – prior to us remodeling it in ‘95 and ‘96 – had been essentially vacant for ten years prior. We remodeled an existing structure, turned it into Pelican. In 2003 we did a remodel and expansion, and that is sort of the footprint that we have for the Pacific City Pelican currently. We grew the restaurant and the brewing operations over the years and in 2013 we built a larger brewery in the neighboring city of Tillamook. All bottled beer and the majority of draft that gets distributed out is all coming out of the Tillamook brewery. Current projects we are doing include a major expansion to the Tillamook brewery where we’ll be more than doubling floor space of brewery – adding 14,000 square feet, putting in bottling line that will run five times faster, more boiling capacity, and room to expand going forward. At the same time, we are also currently building a brew pub in Canon Beach. We will have three locations which makes us a teeny, tiny chain. Does your location – being on the ocean – play into the crafting of your beer? You know, I wouldn’t say it does or doesn’t in any direct way, or easy definable way, but the location and being right adjacent to the beach, it certainly does inform everything we do. We really think of Pelican as being inextricably linked and tied to Pacific City and the beach. It’s an intrinsic part of who we are and the brand history and we like to try and pay homage to our local area. The things that go on here – as we name our beers and do what we’re doing – and how the beer is spelt or how it tastes goes back to where we’re from. You have been winning beer awards for the past 14 years. Does that praise encourage you to keep trying new things, or does that make you stick to what you know? Is there any award you’re particularly proud of? You know, any time, at GABF or World Beer Cup, or even something like Australian Beer Awards, where your beers do well across the board, and that results in some form of a champion brewery or brewery of year award, those are pretty high water marks. Those are very, very, very hard things to achieve. So those are always – any time that happens – pretty remarkable. The other thing that gets me revved up is when someone who worked for Pelican – or maybe someone I’ve mentored or trained in some way – to see my former employees winning GABF medals and World Beer Cup medals, I get really excited about that. 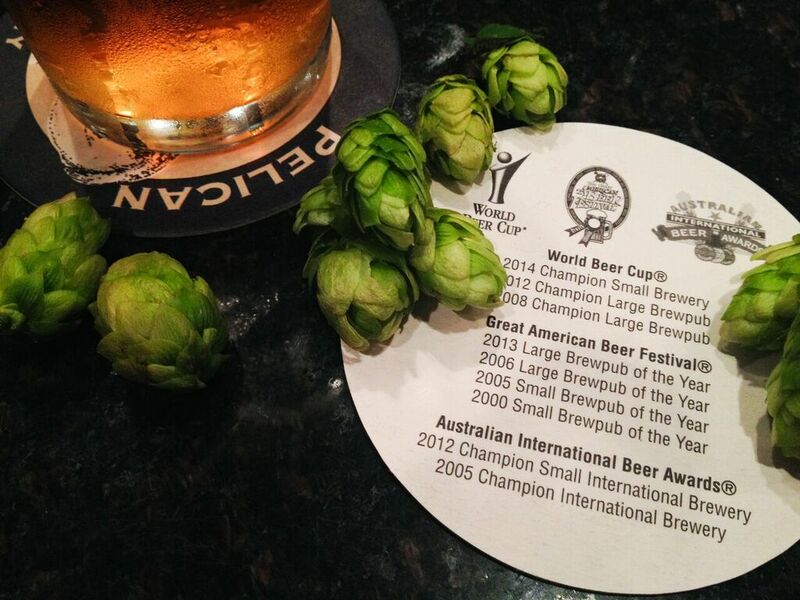 All these awards boil down to one thing – and that’s that you have great beer. If someone is new to Pelican, what would you suggest sipping first? Well I think the way to go, without knowing any personal favorite styles of beer or what flavors they enjoy, I think the really good idea is to try the taster tray. We put a lot of effort making sure each beer in the lineup has a unique reason for existing, that it has a flavor profile that is different from anything else we offer, and that we aren’t creating the same flavor profile in five different colors and shades. A lot of brewpubs, you could walk in, twenty years ago, where all things taste the same but look different. It’s always uppermost in my thinking that the purpose of having five different beers on tap is that each one has something specific and unique and particular about the flavor, color, texture and aroma, that says something about the world of possibility in beer flavor. We’re trying to cover as many bases and flavor experiences – whether it’s highly hopped or malted – or the way it’s fermented – trying to create that balance of flavor across the different things that we produce. You guys say that beer is important, but so is the food. You’re a world leader in pairing food and beer. Tell us how you make it a point to collaborate with the chef of Pelican. Well I think the Brewer’s Dinner is the perfect showcase for how we think about these things, so thinking about it, really, from the time we first started putting together Brewers Dinners. The first one was in fall of ‘96 – we had opened in the spring and we did one the following fall. Obviously we’ve come a long way, we have learned a lot, but even at the very beginning, we came up with some ideas for food and we came up with a theme. We cooked dishes ahead of time, and then sat down and started tasting the beer – and tasted exactly what the food will be with the beer, and how the flavors are or aren’t working. Whether you have parallels that are pleasing – or maybe it’s too much of a good thing – and then it doesn’t work at all. As we’ve done [Brewers Dinners] over the years we’ve figured out more things on how things work together. We get better at our forecasting of pairing beer and food. At the end it always come back to carefully tasting with myself and the chef team, and other people within the company who sit in on this and are familiar with the concept of how we run pairings. We talk through all of the flavor hooks and the parallels and contrasts – what does and doesn’t work. Then it goes into my notes that I present during the Brewers Dinner. 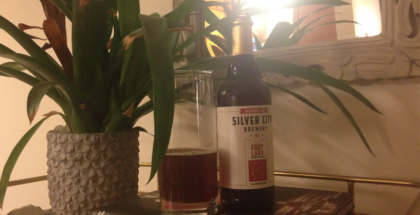 I spend very little time talking about the IBUs of the beer – how much they don’t or do have. Sometimes I’ll spend a little time talking about the flavor of the beer if it’s not year round, if it’s outside the box – how it’s produced and its background but mostly I spend my time talking about the flavor hooks, how the food and beer flavors work together, how together they draw more attributes out of each other, because we are always looking for pairings that are more than the sum of the parts. We’re looking for something special and a little unexpected. And to that end we often times will – if we are tasting different food items and we have something for a Brewer’s Dinner that finds the thematic of the dinner really well and we can’t find a beer that works – before we say ‘alright chef – you need to change this item!’, we will start tasting that food with beers that we think won’t work. And most of the time we find something so unexpected, we didn’t have to change the food, but we had to change the usual pairing philosophies. We find something that rewrites the rules, and that’s a lot of fun. Any of that unexpected this year? We have one at this dinner that falls into that category, and it’s a pairing that we sort of thought ‘well, this isn’t going to work but lets try anyway.’ There’s some really cool flavor hooks in that pairing – and that’s with our entrée. As you mentioned, you’re actually showcasing all of this in the Carnival Brewers Dinner this month. Bringing it back, how did that event come to be? Well I think I was really interested in doing a Brewer’s Dinner, because I had been to a few winemaker’s dinners, and I thought – well this is nice, people are trying wines that they wouldn’t necessarily, and it gives the winemaker time to talk about what’s important to them and how it works with foods, and therefore encourage people to think about things. I thought, we should do that for beer, because while I like wine, I don’t want to defer all this high ground to the wine guys. Let’s stake our claim too. It was certainly something I was interested in from the get go, and Jeff and Mary, who were the primary owners at the time, were quite interested in the idea and were very receptive. All of us just went marching down that path and we have always had a high level of interest for whoever we have back in the kitchen because this restaurant operation is quiet in the winter and then super, super busy in the summer. Those spikes of high volume, they could happen on a sunny weekend in February you never know. People come into town and it’s really busy. Our chef team, culinary team, are talented, talented people and they spend a lot of time making pizzas and burgers. Whomever we have ever had in the kitchen is interested in stepping aside from the burgers for our Brewers Dinner – and doing a meal a lot more like what took them to culinary school in the first place. It gives them an opportunity to stretch what they can do, and to create new things. Is any dish a particular favorite of yours this year? I would have to say that my favorite is the saganaki for this dinner. We have paired that with the Nestucca Ale and I just really love the flavors of the saganaki. You’ve got the lemony tartness to the cheese itself, and there’s a wonderful saltiness to it. It’s served with some olives and spicy greens, and it’s just a super simple and very flavorful dish. And there’s several really strong flavor hooks to the Nestucca that we’ve paired it with. It’s an ale that we have been brewing off and on, as a one-off and seasonal , for more than ten years now probably. It’s one of those beers that is the local favorite. We did just one batch recently, just because I felt like it. I brewed the beer just because I wanted to, and then our executive chef, as he was putting together the menu, I think he had Nestucca penciled in because I had forewarned him it would be available. That was one of those that just years of familiarity, we figured it would work and it sure did. If it was all 100% experimentation for every course, every dinner, that wouldn’t say much about our ability to learn. We’re getting better at this. For us we’ve been doing it 20 years, the rest of the industry has been around ten – it’s still a wide opened field. There aren’t hard and fast rules of which pairings will or won’t work, but there are at least the beginnings and the outlines of basic principles that will help. You’ve got a lot in store for 2016 with seasonal releases, your barrel aged series, and your special releases. With so much on the horizon, what can we absolutely not miss? It’s always the next ‘draft only’ special that we have coming out. We’re actually finalizing a rotation, a plan, for 2106 where we have basically two draft only specials releasing every month. Some available at each location, and we will allocate a small number of kegs to the trade, and we’ll try to divvy it out. 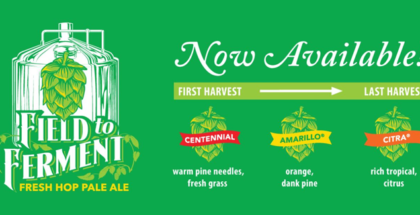 Everything from IPAs – single hops with experimental hops – different styles of lager, and tinkering around with some different hop additions to Kiwanda – our flagship. All kinds of different things. For more information on the Brewer’s Dinner, check out the Pelican’s website or call (503) 965-3674 for reservations, and stay tuned for our coverage of the event!